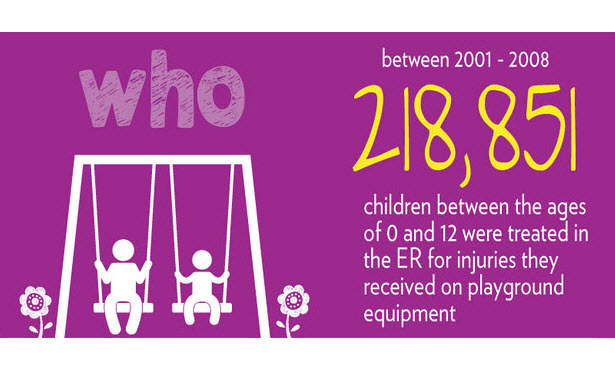 Each year, more than 200,000 children go to U.S. hospital emergency rooms with injuries associated with playground equipment. 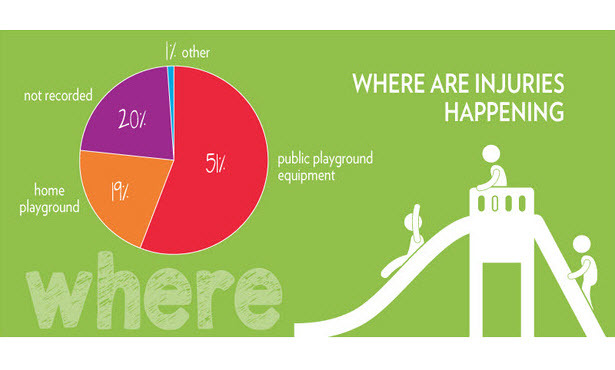 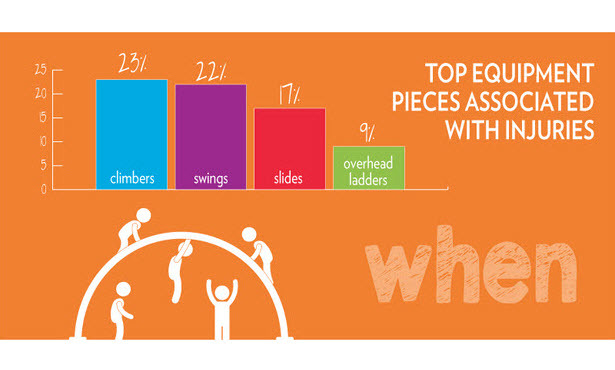 Between 2001-2008, 40 deaths were associated with playground equipment and the average age was 6 years old with the median age being 4 years old. 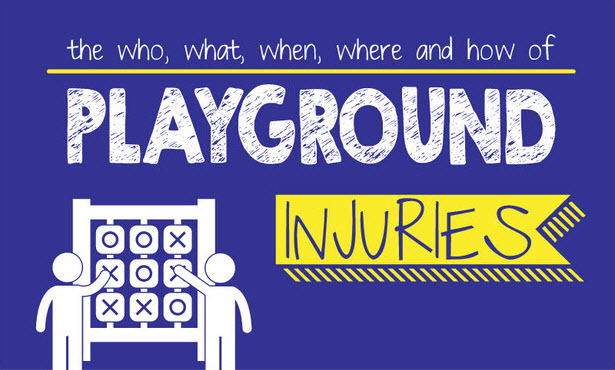 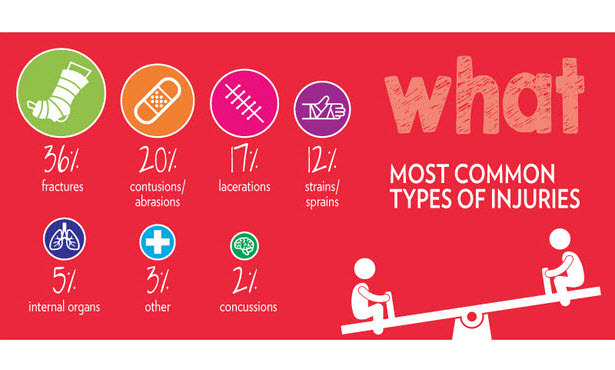 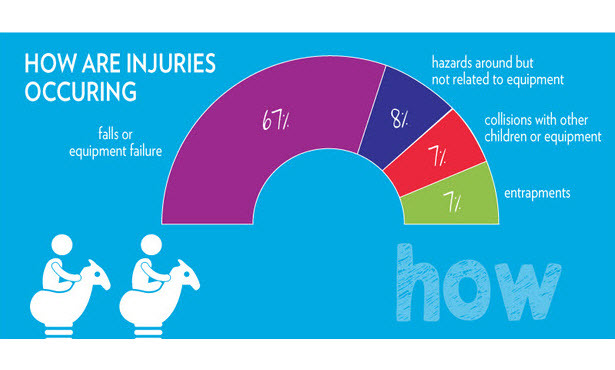 Learn the who, what, when, where and how of playground injuries and learn how to keep children and students safe.